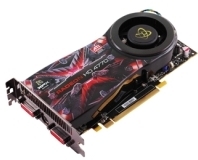 The Radeon HD 4770 might boast 40nm technology and an £80 price tag, but can it batter modern games into submission? We put XFX's HD 4770 to the test against some of its nearest rivals to see if it really is the mid range king it claims to be. 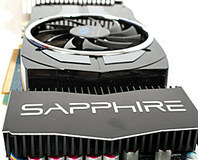 Not content with already improving the 4870, Sapphire has crammed 2GB of GDDR5 and a new cooler in just ahead of other ATI launches. 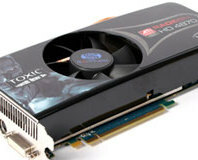 Sapphire has intoxicated the Radeon HD 4870 1GB with a bit of own-branded spice and a Vapor-X cooler. We put the company's Radeon HD 4870 1GB Toxic to the test and find out if the cooler can live up to its excellent predecessor. Read on to find out how it gets on. 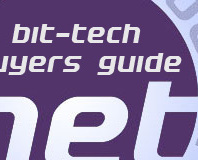 We're back once again with our monthly bit-tech buyer's guide, helping to make it easier to pick out that ideal upgrade and take the stress out of system building. With recommendations to suit any budget, from the the cost effective to the wallet melting, you'd be mad to buy hardware without it! 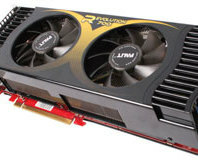 ATI's dual slot 4870 X2 cooler not big enough for you? Then meet the Palit Revolution 700 Deluxe, a factory overclocked 4870 X2 sporting a massive triple slot, dual fan cooler. Can it tame the twin RV770 cores? Read on to find out! Want to upgrade your system or build a PC this month and don't know what parts to get? Once again, we've put together a range of components which the bit-tech staff personally recommend to take the stress out of upgrading or system building to suit any budget. Nvidia has dropped the price on its GeForce GTX 260 216-based parts - the first of these price drops has made it into the channel. With new and improved drivers from AMD and Nvidia and a whole batch of new graphically intensive games to test with, we've retested seven high end graphics cards to see how they perform in Far Cry 2, Fallout 3 and more! How does your card perform? Read on to find out! Nvidia has quietly introduced a new GeForce GTX 260 with an increased stream processor count that is destined to confuse customers. 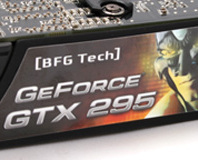 We take a look at BFG Tech's new GeForce GTX 260 OCX Maxcore to find out whether the additional stream processors help improve performance. 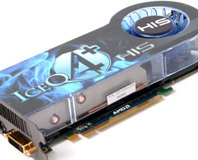 We've seen the benchmarks and how ATI has comeback from nowhere to reclaim the mainstream performance crown, but what's behind this sudden change that makes the new HD 4000-series so compelling? We dive deep down inside to find out. We take a look at the impressively specced Cyberpower Gamer Infinity CrossFire HD. Can it tempt us away from our custom built machines, and where does it sit in today’s crowded market place? Read on to find out.